A speed oven cooks like a regular oven, but is smaller in size and cooks faster. GE, Sharp, Miele and Jenn-Air all have speed ovens but approach with similar technology including varying degrees of microwave along with convection cooking and perhaps a grill element. For faster cooking times, a speed oven will alternate between microwave, convection and grill, so you have faster cooking times without the rubbery quality of a microwave. A baking cycle will be roughly 90% convection and 10% microwave. Roasting with more dense foods is 70% convection 30% microwave. Speed ovens have varying degrees of technology and radically different prices. Miele is a German company founded in 1899. They are a family owned company and are among the least repaired brands in the market. The Miele speed cook oven has their exclusive MasterChef technology which selects the optimal cooking results based on your input. 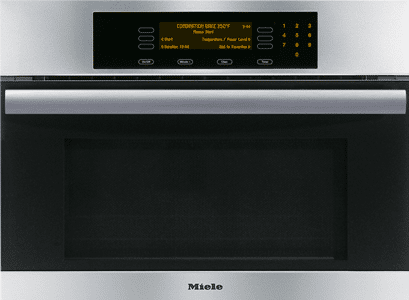 The Miele is a multi-functional unit and can be used as a plain 1,000 watt microwave or as a true European convection oven. You can use either of these functions individually or in combination. Miele offers more speed with a greater microwave emphasis or great convection emphasis. Jenn-Air was purchased by Whirlpool Corporation in 2006. Whirlpool has invested $300 million into bringing the brand back to the premier level it was years ago. The Jenn-Air speed cook oven is a built-in microwave, using a convection element and fan with microwave energy to maximize the ovens power to achieve fast and beautifully cooked food. The Jenn-Air unit also has a 1,600 watt grill element, and auto sensor steam cook (using microwave). The feature allows you to enjoy the moisture and nutrients of the food. 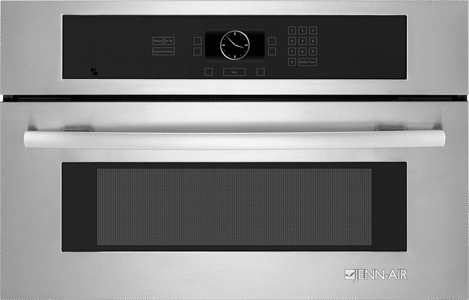 Jenn-Air also features 56 food modes which can combine the convection system, microwave and broil element heat. General Electric is a multinational company and one of the biggest companies in the world. GE sells a speed oven under the name Advantium in their Profile and Monogram lines (similar unit, different handle). Although GE is widely sold through builders and not as much to premium customers (we do not sell any GE products at Yale), the Advantium is a decent unit. The Advantium was launched in 1999. It uses both halogen lamps and microwave energy together or individually. The advantium is available in several different configurations and voltage, both 220V and 120V. Their over-the-range unit is particularly convenient. Sharp Corporation is a Japanese Multinational Corporation and designs and manufactures electronic equipment. 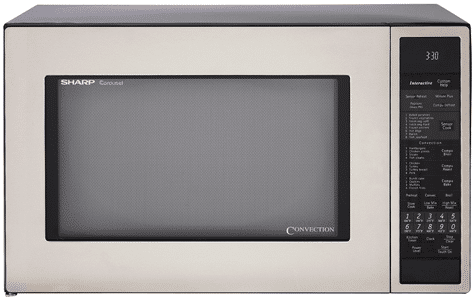 They manufacture the majority of microwaves on the market today and have been super focused on this segment since the late 1960’s. Sharp speed cook is their convection microwave. A convection microwave is a combination of standard microwave and a convection oven. The Sharp has a high velocity forced-air fan which helps circulate the hot air evenly and quickly. The Sharp is available in a full size 1.5 cubic feet and 1.0 cubic feet in 110 volt only, so it will not be as fast. 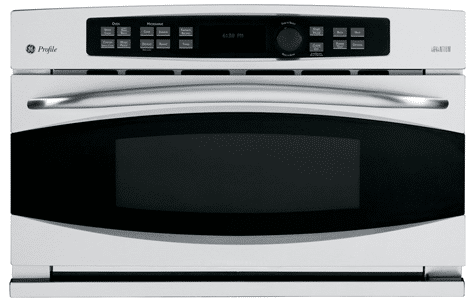 Like the Advantium, Sharp offers an over-the-range microwave convection with built-in fan. The Miele is great for the household that is going to use it more as an oven. The Master Chef program is so easy to use and the true European convection cooking is vastly superior then the other brands. The Miele is the only speed cook oven that comes with a roast probe. The roast probe replaces a meat thermometer and connects directly to the controls. Desired temperatures can be preset and the oven shuts off when the temperature is reached, assuring a perfect temperature. The Jenn-Air has 56 cooking modes. The LCD screen is intuitive and simple to use. The crisp option with browning pan is great for quick and crispy bacon or a quick pizza. GE and Sharp have older technology, but I love the GE over-the-range application with built-in vent fan. Sharp may be old older as well, but it's simple, relatively inexpensive and works quite well. 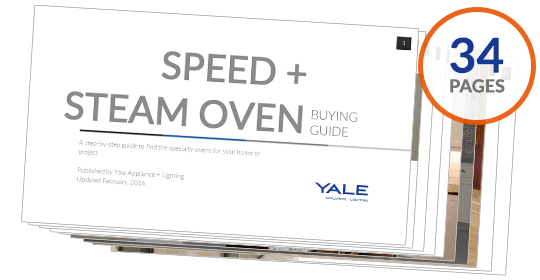 Download the Yale Speed Oven Buyers Guide with specs, features and insider buying tips to all the major brands in the market. Well over 200,000 people have read a Yale Guide.